Beneath the Surface tackles the issues concerning the image, from its creation to its distinctiveness, as well as the dynamics of its transmission and the concrete integration within a support. More specifically, through painting, the works by the two authors question the expressive possibilities that emerge from the interactions implicated by environmental contexts and the media. In such a process, the observation and the causality of both the stimulus and of interactions gains vital importance; a state in which we’re not drawn to understand the differences between high and low registry, between personal and universal, between intelligible content and hermetic form. The exhibit’s works document how the artwork – an image in itself – is the final and distilled form of the infinite possibilities that appear during a constant process of selection, rejection and metamorphosis. The works on canvas by Pedro Matos portray several blown-up images of incisions, casually noticed on walls, wooden doors, school desks and trees. These marks, at times barely comprehensible, are normally seen and then instantaneously forgotten due to their lack of visual syntax and real contents of interest: they’re scraps, relics left by someone before us. Matos incorporates these visual clusters on the surface, using these marks to create a painting that apparently lacks both a subject and syntax, and is characterized by a sense of metaphysical suspension. 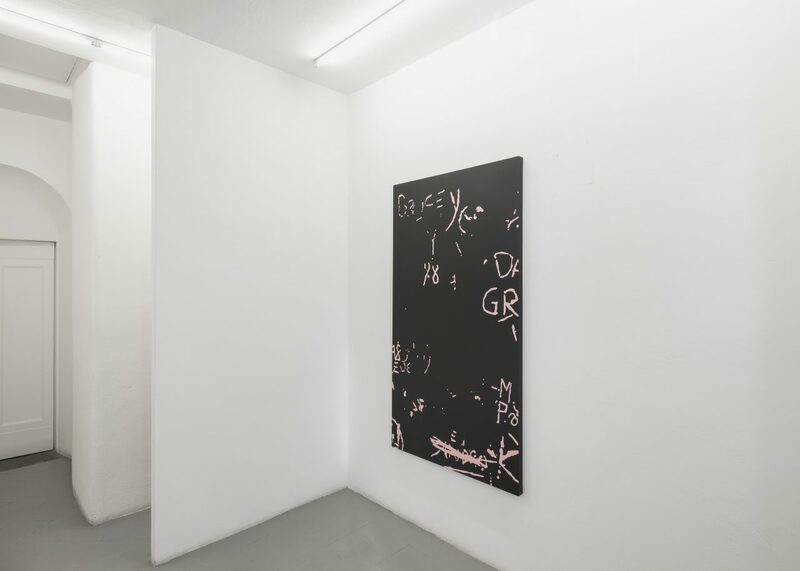 The works by Konrad Wyrebek originate from the artist’s interest towards the error that occurs during the transmission of electronic images and when employing the necessary compression algorithms. The artist collects photograms, which present defects within the visual stream, and then elaborates and transforms them into a subject. 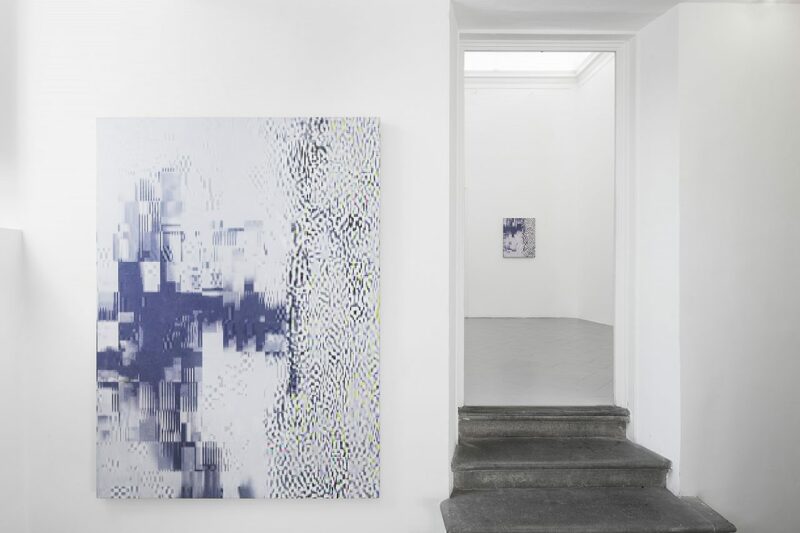 However, this subject is conceptual, and is layered on canvas in the geometric form of abstraction, where we can recognize matrices, reiterated portions of colors and pixels. Therefore, the final image depicted on the canvas is the result of a slow, pictorial stratification process, in part casual and in part conducted by the artist, and leads the audience to observe, question and get lost. Konrad Wyrebek Born in the Czech Republic in 1983, Konrad Wyrebek lives and works in London. He has recently exhibited his works in Politics of Pink, London (2018); Slippage, a group exhibition to the Post Instutite, London (2018); Art Brussels and Art Dubai (2018); How can we reconnect human culture with mother nature?, Rotterdam (2018). Other recent exhibitions include a Im/material: Painting in the Digital Age, London (2017); “Searching for magic and the distorted image falling from your iCloud”, London (2017). 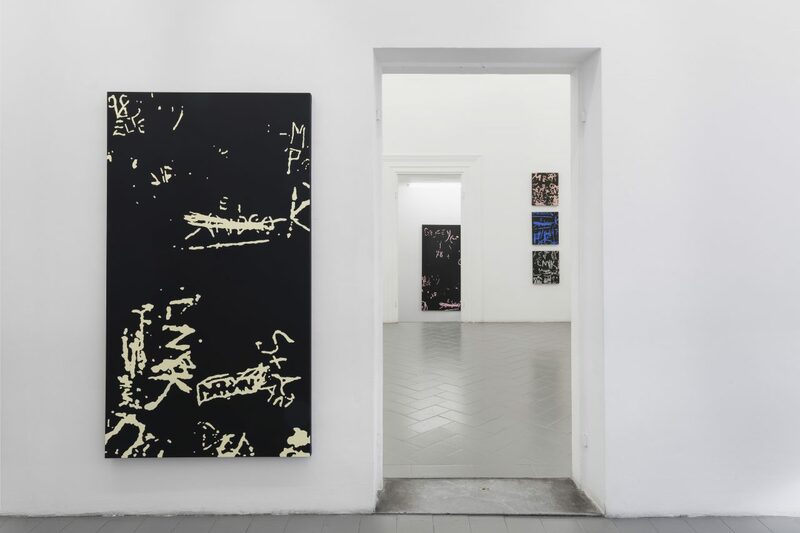 TBD at Clemens Gunzer Gallery, Zurich (2016); Art Brussels at Ron Mandos Gallery, Brussels (2016); 2°C above acCLI-M8 X, solo DataError show addressing Climate Changes / Global Warming, curated by Domenico de Chirico at Ron Mandos Gallery, Amsterdam (2016); IMAGINE, Brand New Gallery, Milan (2016); Zero Zero at Annka Kultys Gallery, London (2016); LOUPS at Museum Cognacq-Jay, Paris (2016); Dallas Art Fair, Dallas (2015); The C Art Collection, a group exhibition in Milan (2015); The Whole is Other than the Sum of the Parts, London (2015); Art15, London (2015); Friezewk , London (2015); Link, Paris (2015); PUBLICPRIVATE, Armory Art Week, New York (2014); Painting in Relation, Solyanka Art Museum, Moscow (2014); Flesh Reality, Point Zero Project Space, London (2013); Question of Sport, Royal Academy and Museum of Contemporary Art, Clifford Chance Collection, London (2012); and CutOut, Sotheby’s Institute of Art, London (2011); Wyrebek is the recipient of the 2011 Sir John Cass Sculpture Prize, along with both the John Burn Sponsorship Award and the Metropolitan Works Sponsorship Award, both in 2011. 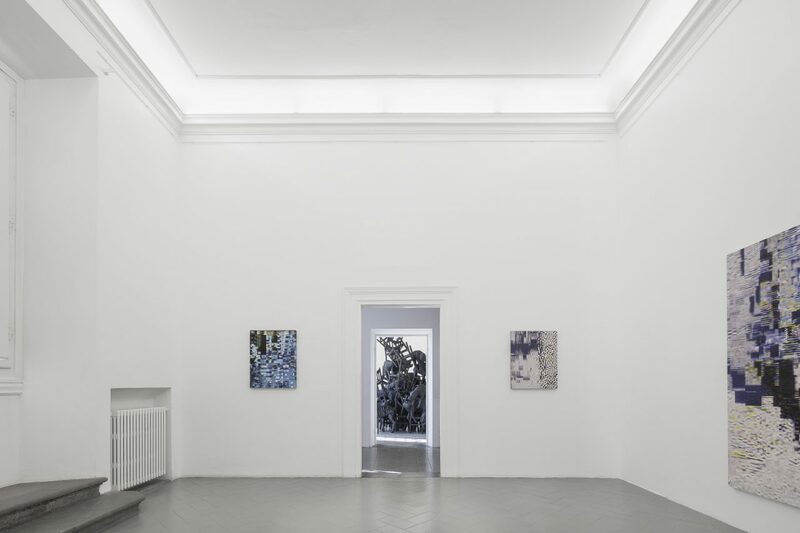 ‘Beneath the Surface’ Installation view at Eduardo Secci, Florence, 2018. Courtesy of the artists and Eduardo Secci.